The headmaster at Kingdom Preparatory School in Auburndale has been arrested and accused of molestation, according to the Polk County Sheriff's Office. TAMPA, Fla. — Twelve years ago the Hillsborough County Commission gave $1.5 million to help with Super Bowl costs. This time around, Tampa Bay Sports Commission CEO Rob Higgins is asking for double that. “Well the cost of doing business with the Super Bowl continues to go up. I would say that’s on a similar trajectory with a lot of other expenses across the country," he said. Super Bowl LV will be hosted in Tampa at Raymond James Stadium on February 7, 2021. Higgins says the economic impact is well worth the spending with massive amounts of money coming to area hotels, the airport and the media exposure seen around the world. He says recent Super Bowls in Minneapolis and Houston brought in well over $400 million each. Commissioner Mariella Smith was the only one who voted against the agreement, saying she’d like to see more details of where the money is going. Higgins added that Minneapolis has 19 Fortune 500 companies that contributed millions of private money. Tampa's Super Bowl host committee says they are working on getting money from the private sector now too. The $3 million in public money will go toward infrastructure, stadium staffing, security and other event related costs. 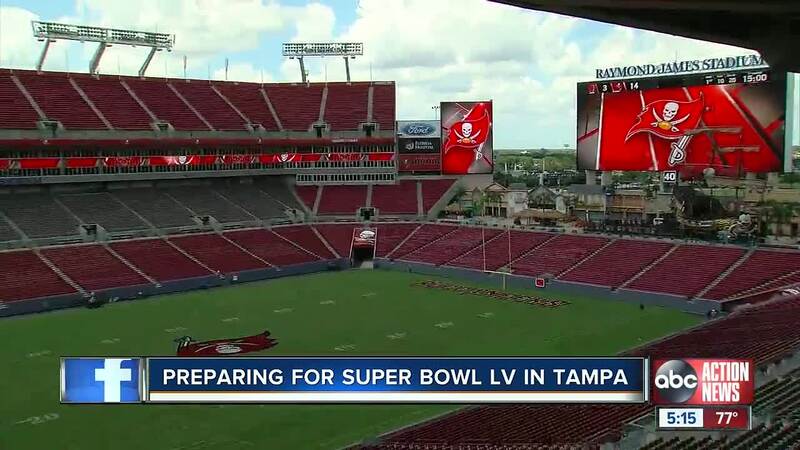 This will be Tampa’s fifth Super Bowl. Only Miami, New Orleans and Los Angeles have hosted more. “I can promise you these 750 days or less are going to roll pretty quick, but we are going to do everything we can to make sure we are ready," said Higgins.